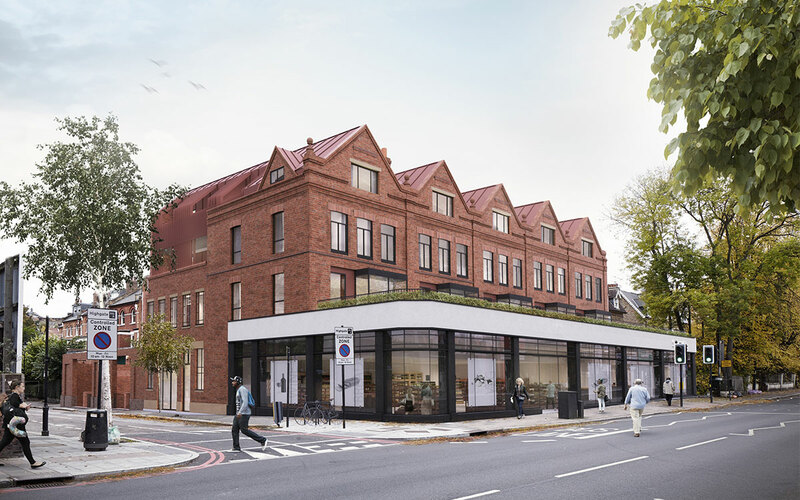 The project retains and enhances a Victorian façade and shopfront on Archway Road while creating a new contextual mixed-use development behind. 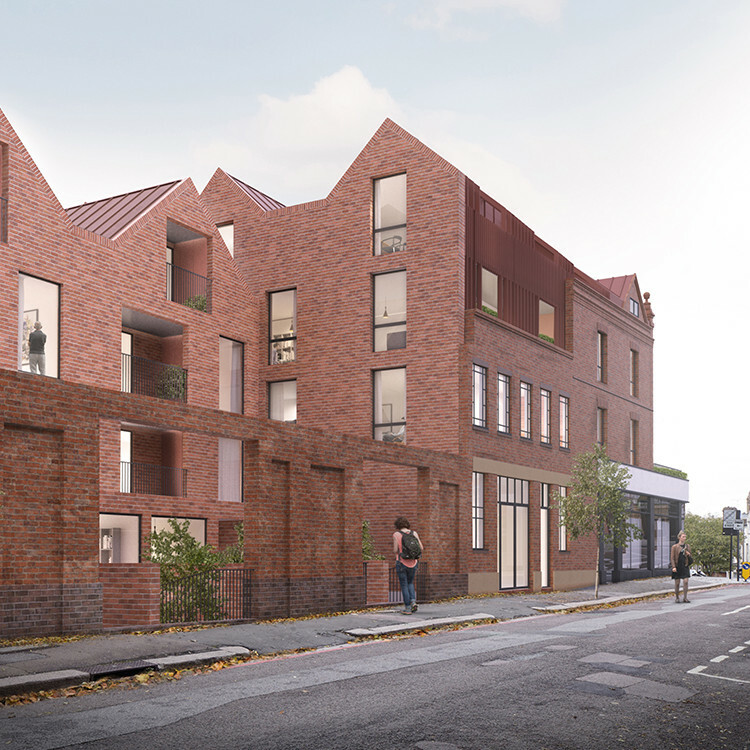 The shops will remain for use along the busy Archway Road, while the existing basement will be enlarged and improved to provide affordable workspace for local, small businesses. 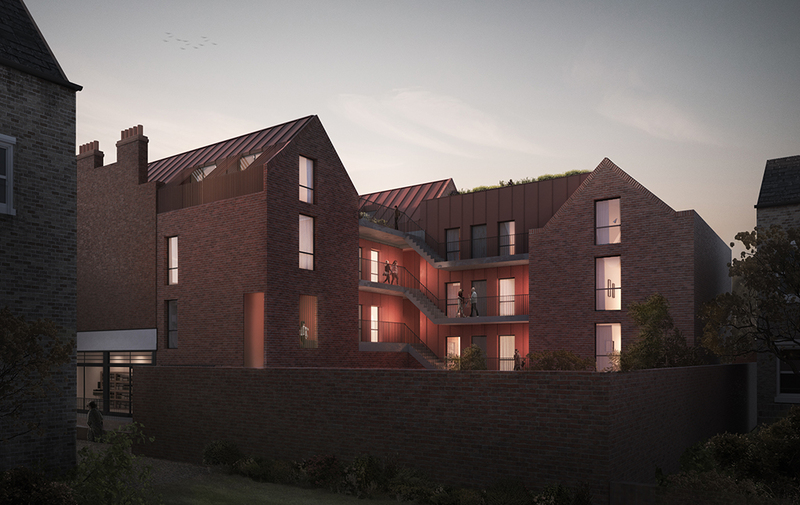 On the upper levels and at the rear of the development 25 new apartments of varying sizes will be added, with private and communal outdoor space. 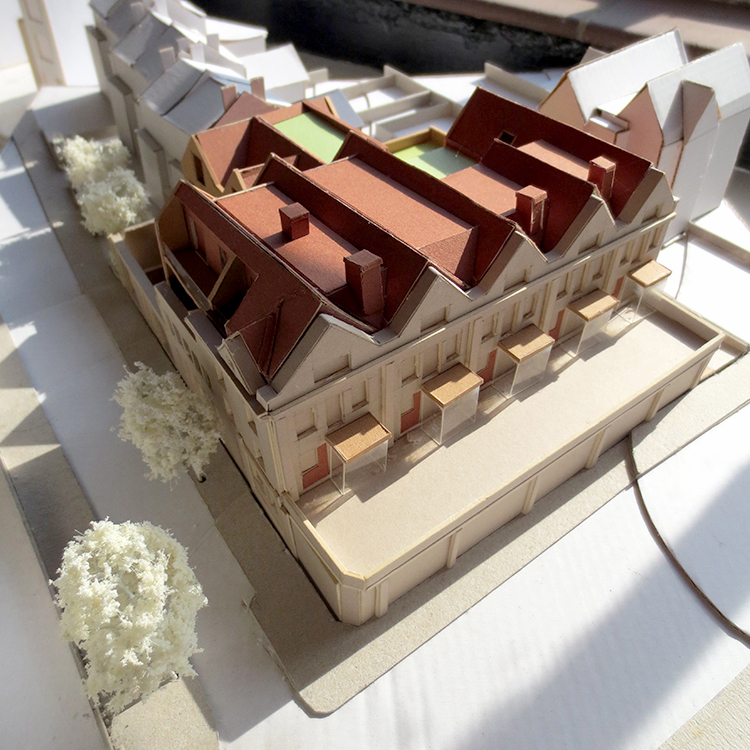 Pitched roofs are extended backward and repeated as a motif throughout the scheme, made from red brick that complements the retained façade and surrounding conservation area. Red-pigmented metal, which blends with the tone of the brick, is used for cladding, providing a subtle, modern alternative to traditional building materials. 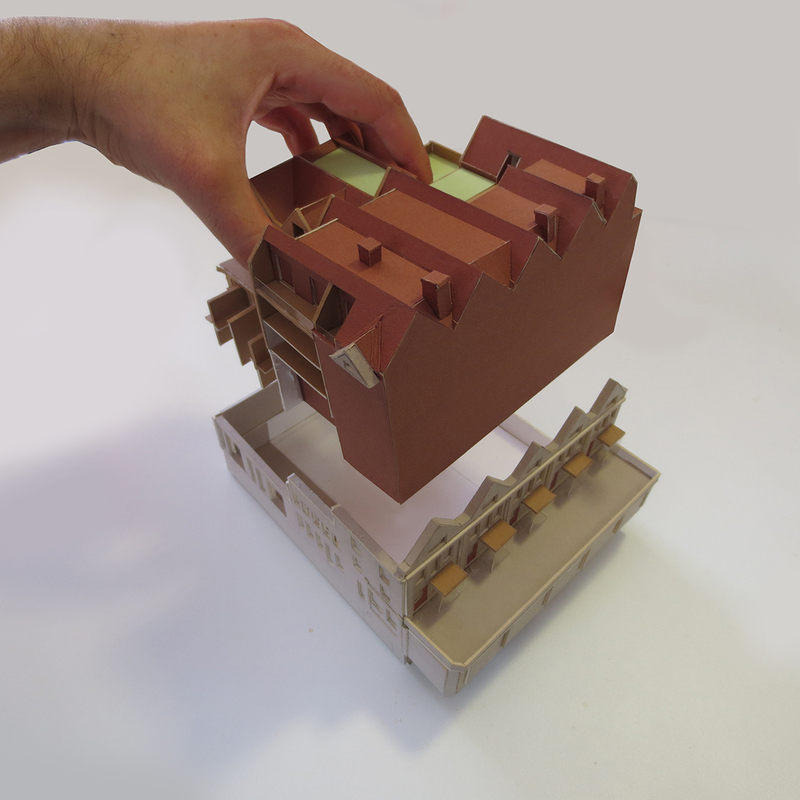 Large windows and balconies are ‘punched’ out of the exterior walls. 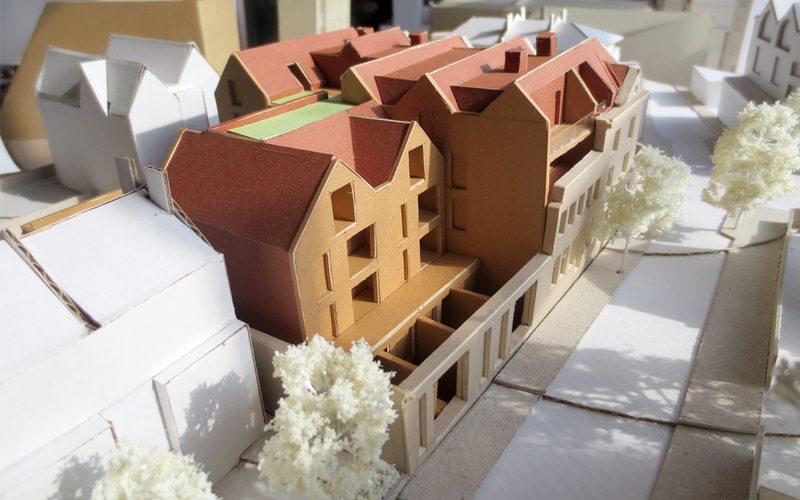 New gardens occupy the roof of the ground floor, adding planting and activity to the street frontage.